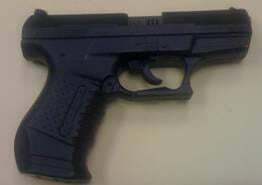 Evanston Police recovered this toy pistol from Adel Mohammed Sobhi, 19, a student at Evanston Township High School. Sobhi was charged with disorderly conduct in connection to the incident, one of several nationwide after the Newtown, Conn. school shooting. Evanston school officials reassured parents and Mayor Elizabeth Tisdahl has called for stronger gun control in response to the Dec. 14 shooting at a Connecticut elementary school that killed 26 people. On that day, a gunman opened fire on students, teachers and staff at Sandy Hook Elementary School in Newtown, Conn., in a shooting that catalyzed a national discussion on gun control and school safety. The school shooting, more than 800 miles away, came just days after the latest in a string of deadly shootings in Evanston. Evanston-Skokie School District 65, which serves more than 7,500 students, responded to the Newtown shooting with precautionary measures such as asking local police for an increased presence and the district’s school security company to visit schools. According to the district’s 2012-2013 handbook, students annually practice proper evacuation and lockdown protocol, drills that became reality for Sandy Hook students in December. The school’s safety and crisis plans are updated after an annual review meeting with fire and police departments, as well as school and district officials, D65 superintendent Hardy Murphy said in a Dec. 17 letter. “Please know that we will do what we can to help keep your children safe at school,” Murphy said in the letter. District 202 superintendent Eric Witherspoon sent a letter to parents Dec. 13, a day after Evanston Police discovered Javar Bamberg, 23, shot and killed near ETHS in the 1700 block of Grey Avenue. Days after the Bamberg and Newtown shootings, however, an ETHS student was found with a toy gun, one of several such incidents involving toy or actual guns nationwide. Adel Mohammed Sobhi, 19, was arrested and charged with disorderly conduct Dec. 19 after police found a toy pistol resembling a semi-automatic handgun in his backpack. Students’ safety was never at risk, police said. 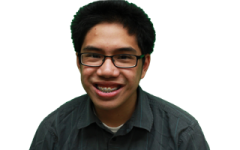 Firearm replicas are not permitted at ETHS, according to the school’s student handbook, with violators subject to three- to 10-day suspension, among other punishments. “While this was not an actual weapon, any report of an alleged weapon at school or on school property is considered serious and will not be tolerated,” Witherspoon said in a letter posted to the school’s website. Just as reports of students bringing guns to schools went national, so did the calls for increased gun control from citizens and mayors. The mayors called on the president to enact reforms such as requiring background checks on gun purchases and appointing a director of the Bureau of Alcohol, Tobacco, Firearms and Explosives.